Basically, I have an addiction to buying clothes and The Velvet Black is a way for me to show my personal style off to the world (or whoever's reading). I'm a recent Psychology graduate from London, but studied at Portsmouth. I miss Portsmouth loads. I'm also pretty lost in life *thumbs up emoji*. 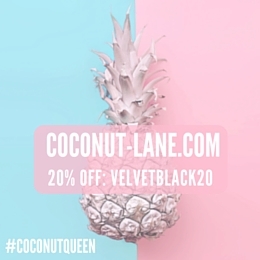 My Instagram & Twitter handles are both @_thevelvetblack - go go go! www.angerawrs.co.uk is a SCUM!!! They take your money and do not send the order, nor they answer to e-mails. Do nor order anything from www.angerawrs.co.uk, they will steal you money!!! Angelina, why are you advertising angerawrs.co.uk everywhere? This website is a SCAM. I have paid them for the items I ordered, but they did not send me my order and they do not reply to my e-mails. Are you in connection with these thieves? I am absolutely loving the cat background! Lovely learning about you and I am studying psychology too! I really enjoy it, hope you like it aswell. I totally just looked on your page for a solid hour! I love your personality! You are the cutest! Love your page! I love your personal style! Your posts are great! Ahh I love your piercings! I'm getting a helix piercing on tuesday because my friend wanted her nose done so I thought I'd come along for the emotional support and why not get pierced at the same time?! It's been an hour I am reading your posts and I totally felt in love with them. Omg, you are sooooooo beautiful!